Article: Palaeodiversity and formation counts: redundancy or bias? A key question in palaeontology is whether the fossil record taken at face value is adequate to represent true patterns of diversity through time. Some methods of assessing data quality have depended on the commonly observed covariation of palaeodiversity and fossiliferous formation counts through time, based on the assumption that the count of formations containing fossils, to a greater or lesser extent, drives diversity; but what if diversity drives formations? Close study of two fossil records, early tetrapods (Devonian–Jurassic) and dinosaurs, shows how the relationship between new taxa and new fossiliferous formations varies through research time. Initially, each new find represents a new fossiliferous formation and discovery follows the ‘bonanza’ model (fossils drive formations). In unexplored parts of the world, new taxa are identified frequently in new regions/formations. Only after time, in well‐explored continents such as Europe and North America, does collecting style switch to a mix of exploration for new formations and re‐sampling of known fossiliferous formations. Data are most striking for dinosaurs, where the Triassic–Jurassic record largely comprises finds from Europe and North America, where new formation discoveries reached their half‐life in 1914. This contrasts with the Cretaceous, which is dominated by rapidly rising discoveries from regions outside Europe and North America and the formation half‐life for these ‘new’ lands is 1986, showing that 50% of new Cretaceous dinosaur‐bearing formations were identified only in the past 30 years. 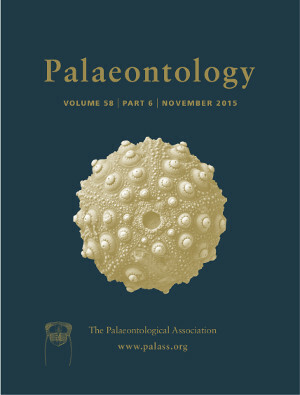 The relationship between dinosaur‐bearing formations and palaeodiversity then combines three signals in variable amounts, reflecting the original diversity (relative abundances of particular taxa in different formations), redundancy (new fossiliferous formations accruing because of new fossil finds) and sampling (intensity of exploration for new fossiliferous formations, and of search within already‐sampled formations). For fossil vertebrates at least, formation counts of various kinds are poor predictors of sampling, missing, for example, the bonanza samples of Lagerstätten such as the Yixian Formation in China: thousands of specimens, dozens of species, but counted as one formation. These observations suggest that formation count cannot be regarded as an unbiased metric of sampling.